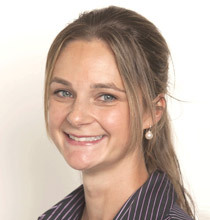 Jacqui has worked in Melbourne for 10 years before moving to New Zealand. She has 10 years experience in Organisational Psychology and Career Counselling and 5 years experience in Counselling Psychology. Jacqui worked in this capacity as a Primary School Counsellor and a University Counsellor before moving into Private Practice. Jacqui has had extensive experience in child & youth psychology. Having been a school and University Counsellor, her particular field of expertise is youth and young adults. She is experienced with bullying, cyber-bullying and supporting young people to explore and develop themselves. She also enjoys working with primary-aged children with anxieties, fears, phobias, OCD and trauma. She believes in supporting parents with children’s needs and programs. She has an interest in perinatal/maternal and mother/baby attachment and counselling, parenting issues, depression, anxiety, fears, phobias, grief and loss. Jacqui has a strong interest in mindfulness therapy and is able to provide relaxation and meditation classes for children, youth and adults. She also provides counselling & support for stress management and workplace issues. She is able to provide career guidance, employment support including development of resumes and interview skills and preparation.